Draft: 2013, New York Yankees, 14th rd. Caleb Anthony Smith... attended Sam Houston State University... played baseball three seasons there (2011-13) and established the school record for strikeouts in a three-year career (204).... graduated in 2010 from Huntsville (Texas) High School. Made just 16 starts for Miami before suffering season-ending lat strain on June 24...Went 5-6 with a 4.19 ERA (77.1 ip/36 er) with the Marlins...Underwent surgery to repair a Grade 3 lat strain on July 9...Led all MLB rookies in strikeouts (88) at time of injury...His 88 strikeouts were most by a left-handed rookie in the first half in Club history. They were second-most overall in Club history, behind only José Fernández (103 in 2013)...Among pitchers with at least 15 starts, ranked 15th in the National League with a strikeout rate of 27.0% (88/326 BF). He ranked 10th in NL in strikeouts/9.0 at 10.24. Among left-handed pitchers, ranked third in strikeouts/9.0 and fifth in strikeout percentage...Also among pitchers with at least 15 starts, ranked 15th in the NL in hits allowed per 9.0 innings (7.33). 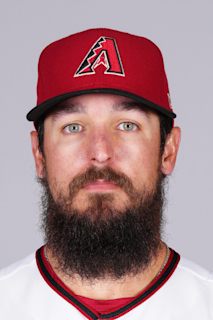 Ranked third among NL lefties, behind only Robbie Ray (7.06) and Patrick Corbin (7.29)...His .220 (63x286) average against ranked 13th among NL starters (min. 15 GS), third among lefties behind Robbie Ray (.216) and Patrick Corbin (.218)...Made Marlins' debut on March 30, limiting Cubs to one run on four hits and three walks, while striking out eight, over 5.1 innings. The eight strikeouts matched second-most ever in a Marlins' debut, behind a 10 strikeout performance by Mark Redman on April 3, 2003 vs. Philadelphia...Best start came on April 22 at Milwaukee, despite taking a loss. Limited Brewers to two hits and two runs over 6.0 innings (a career high until his next start), with no walks and a career-high 10 strikeouts...Became 10th Marlins pitcher (17th time) to record as many as 10 strikeouts in a game without issuing a walk... Also became eighth Marlins rookie to record a 10+ strikeout game (17th time)...Had scoreless innings streak of 15.2 from April 22-May 10, tied for longest of 2018 by a Marlins' starter (Trevor Richards)...From April 22-May 28, went 4-3 with a 2.21 ERA (40.2/10)...Earned first Major League win on April 29 vs. Colorado. Held Rockies scoreless on two hits and a walk, while striking out nine, over a career-best 7.0 innings...Had scoreless streak snapped in second inning of May 10 start vs. Atlanta...Equaled season-high with 7.0 innings pitched on May 28 at San Diego, earning fourth win of season. Opened season with one relief appearance for Double-A Trenton, on April 9; promoted to Triple-A Scranton/Wilkes-Barre on April 13...Entered rotation for RailRiders and went 8-0 with a 2.07 ERA (87.0 ip/20 er) in 16 appearances (15 starts), including a 7.0-inning complete-game shutout on June 18 at Buffalo, allowing just one hit and two walks, with seven strikeouts...Earned International League Midseason All-Star honors. ..Took the loss in the ASG in Tacoma on July 12, allowing four earned runs on five hits in 1.0 inning...Won five consecutive starts from June 13-July 4, and earned first career selection on July 16...Made MLB debut with Yankees on July 17, taking a loss out of the bullpen (3.0 ip, 4 h, 2 r, 2 er, ibb, 5 so)...Made first MLB start in second outing, on July 23 at Seattle (ND, 3.2 ip, 5 h, 4 r, 4 er, bb, 2 so)...Optioned to Scranton/W-B on July 30 after three outings (two starts); would make six more relief appearances for Yankees over course of three more call-ups (August 13-14; Aug. 15-31; September 3-16)... Placed on 10-day disabled list on Sept. 16 for remainder of season with viral infection. Spent the entire campaign with Double-A Trenton, posting a 3.96 ERA (28 ER/63.2 IP) and three saves in 27 appearances, all but seven as a reliever ... struck out 70 while issuing just 20 walks ... Was 1-2 with a 3.53 ERA (14 ER/35.2 IP) in 20 relief appearances, and 2-3 with a 4.50 ERA (14 ER/28.0 IP) in seven starts ... Tossed 9.2 scoreless innings in five outings, July 21-August 4, holding the opponent to a .147 average, walking none and striking out 14 ... Was 1-1 with a 2.93 ERA (5 ER/15.1 IP) in eight July outings, including one start ... Tossed a season-high 6.0 shutout innings in his final start of the season, September 4 vs. Reading. Went 10-7 with a 3.38 ERA (49 ER/130.2 IP) and one complete game in 25 games (24 starts) with Double-A Trenton ... made a spot start with Triple-A Scranton/Wilkes-Barre, August 26 at Pawtucket (4.1 IP, 3 ER) … Tied for second in the organization in wins … Held opponents to a .243 (123-for-506) batting average … had a 17.0-inning scoreless streak from August 9-26 … Had a season-high 11 strikeouts in 6.0 shutout innings, August 21 vs. Richmond. Combined with Single-A Charleston and Single-A Tampa to go 10-9 with a 3.67 ERA (48 ER/117.2 IP) in 27 starts ... ranked sixth among Yankees minor leaguers in ERA and tied for third in strikeouts and wins … named a SAL mid-season All-Star and, following the season, was tabbed an Organization All-Star by MiLB.com … Opponents batted .228 (99-for-435), including a .188 (55-for-292) mark by right-handed batters … Made his first 18 starts with Charleston, going 5-7 with a 3.10 ERA (27 ER/78.1 IP) … Recorded a career-high 13 strikeouts in 6.0 scoreless innings, April 24 at Delmarva ... named SAL Pitcher of the Week on April 28. w Marked the most strikeouts by a RiverDogs pitcher since Charleston became a Yankees affiliate in 2005 … Recorded 23.1 consecutive scoreless innings from April 19-May 10 ... transferred to Tampa on July 16 and went 5-2 with a 4.81 ERA (21 ER/39.1 IP). In his pro debut, went 1-2 with a 1.89 ERA (10 ER/47.2 IP) and a .195 opponent batting average (33-for-169) in 13 outings (nine starts) for Single-A Staten Island ... promoted to Double-A Trenton, August 29, and made one start. October 31, 2018 Miami Marlins activated LHP Caleb Smith from the 60-day injured list. July 9, 2018 Miami Marlins transferred LHP Caleb Smith from the 10-day disabled list to the 60-day disabled list. Left shoulder tightness. June 25, 2018 Miami Marlins placed LHP Caleb Smith on the 10-day disabled list. Left shoulder tightness. June 18, 2018 Miami Marlins activated LHP Caleb Smith from the bereavement list. June 15, 2018 Miami Marlins placed LHP Caleb Smith on the bereavement list. November 20, 2017 New York Yankees traded LHP Caleb Smith and OF Garrett Cooper to Miami Marlins for Future Considerations and RHP Michael King. October 22, 2017 New York Yankees activated LHP Caleb Smith. October 3, 2017 New York Yankees reassigned LHP Caleb Smith to the minor leagues. October 1, 2017 New York Yankees activated LHP Caleb Smith from the 10-day disabled list. September 16, 2017 New York Yankees placed LHP Caleb Smith on the 10-day disabled list retroactive to September 13, 2017. Viral infection. September 3, 2017 New York Yankees recalled LHP Caleb Smith from Scranton/Wilkes-Barre RailRiders. August 31, 2017 New York Yankees optioned LHP Caleb Smith to Scranton/Wilkes-Barre RailRiders. August 15, 2017 New York Yankees recalled Caleb Smith from Scranton/Wilkes-Barre RailRiders. August 14, 2017 New York Yankees optioned LHP Caleb Smith to Scranton/Wilkes-Barre RailRiders. August 13, 2017 New York Yankees recalled Caleb Smith from Scranton/Wilkes-Barre RailRiders. July 30, 2017 New York Yankees optioned LHP Caleb Smith to Scranton/Wilkes-Barre RailRiders. July 16, 2017 New York Yankees selected the contract of Caleb Smith from Scranton/Wilkes-Barre RailRiders. April 13, 2017 LHP Caleb Smith assigned to Scranton/Wilkes-Barre RailRiders from Trenton Thunder. April 3, 2017 LHP Caleb Smith assigned to Trenton Thunder from Scranton/Wilkes-Barre RailRiders. March 29, 2017 New York Yankees optioned LHP Caleb Smith to Scranton/Wilkes-Barre RailRiders. March 28, 2017 LHP Caleb Smith returned to New York Yankees from Chicago Cubs. December 8, 2016 Milwaukee Brewers claimed LHP Caleb Smith off waivers from New York Yankees. December 8, 2016 Milwaukee Brewers traded LHP Caleb Smith to Chicago Cubs. August 13, 2016 Trenton Thunder activated LHP Caleb Smith from the temporarily inactive list. August 9, 2016 Trenton Thunder placed LHP Caleb Smith on the temporarily inactive list. May 14, 2016 Trenton Thunder activated LHP Caleb Smith from the 7-day disabled list. May 8, 2016 Trenton Thunder placed LHP Caleb Smith on the 7-day disabled list. Right hamstring injury. March 25, 2016 LHP Caleb Smith assigned to New York Yankees. August 27, 2015 LHP Caleb Smith assigned to Trenton Thunder from Scranton/Wilkes-Barre RailRiders. August 26, 2015 LHP Caleb Smith assigned to Scranton/Wilkes-Barre RailRiders from Trenton Thunder. May 24, 2015 Trenton Thunder activated LHP Caleb Smith from the 7-day disabled list. May 19, 2015 Trenton Thunder placed LHP Caleb Smith on the 7-day disabled list retroactive to May 16, 2015. May 15, 2015 Trenton Thunder activated LHP Caleb Smith from the 7-day disabled list. April 7, 2015 LHP Caleb Smith assigned to Trenton Thunder from Tampa Yankees. August 14, 2014 LHP Caleb Smith assigned to Tampa Yankees from Trenton Thunder. August 10, 2014 LHP Caleb Smith assigned to Trenton Thunder from Tampa Yankees. July 16, 2014 LHP Caleb Smith assigned to Tampa Yankees from Charleston RiverDogs. April 30, 2014 LHP Caleb Smith assigned to Charleston RiverDogs from Staten Island Yankees. April 25, 2014 LHP Caleb Smith assigned to Staten Island Yankees from Charleston RiverDogs. March 31, 2014 LHP Caleb Smith assigned to Charleston RiverDogs from Tampa Yankees. September 1, 2013 LHP Caleb Smith assigned to Tampa Yankees from Trenton Thunder. August 29, 2013 Caleb Smith assigned to Trenton Thunder from Staten Island Yankees. June 23, 2013 Caleb Smith assigned to Staten Island Yankees. June 11, 2013 New York Yankees signed LHP Caleb Smith.